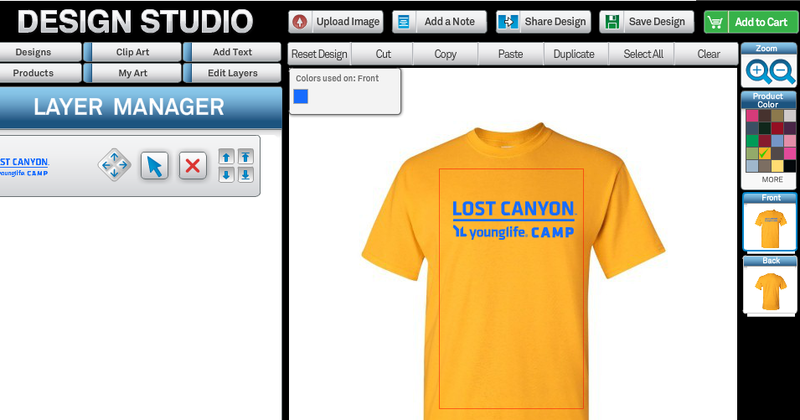 Did you know you can design your own summer camp shirts at the online Young Life Store? You can also choose from tons of other products as well. It's super easy and all you need is a minimum order of 24 shirts. Watch this video to find out more, or contact the Young Life Store at 1-800-266-1665 or email them here. Design Studio from The Young Life Store on Vimeo.